Use Code SPARKLER and get Up to 20% Off Your Clothing Purchase at Sears! 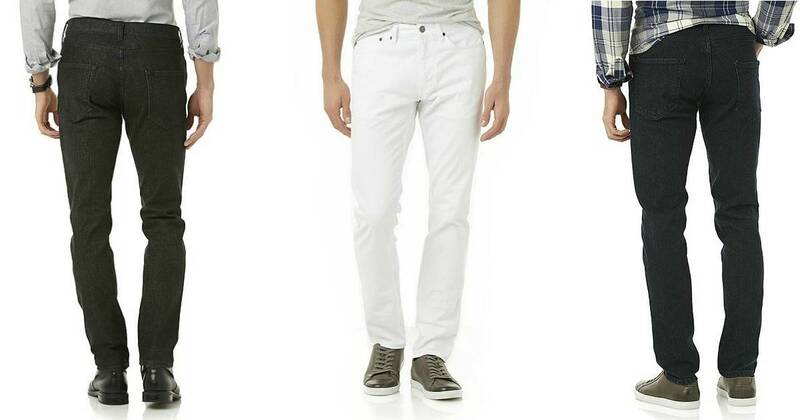 Score 5-Pairs Structure Men’s Slim Fit Jeans for $39.95 at Sears OR Kmart when you add 5 pair to your cart (colors may be mixed and matched) and apply promo code 10OFF40 at checkout. Shipping is free for MAX Members or choose free store pickup if available near you + SYW Members will earn points on the purchase. 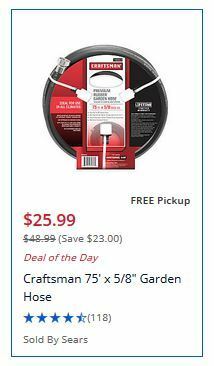 ADD this Deal of the Day Craftsman Hose to your cart at Sears for $25.99 and add code 10OFF25 and it drops to $15.99! Get $1.60 Back in Points! Total AFTER Points Back is ONLY $14.39! TODAY ONLY! 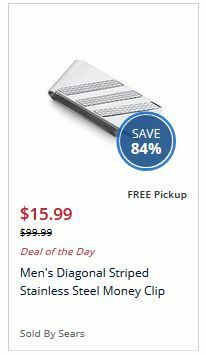 Men’s Stainless Steel Money Clip ONLY $15.99! Great Father’s Day Gift! 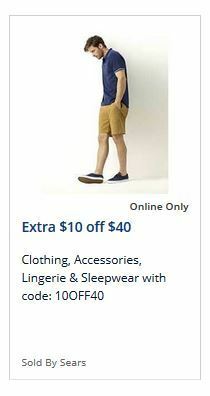 EXTRA $10 Off $40 on Clothing, Accessories, Lingerie & Sleepwear at Sears! EXTRA $10 Off $40 on Clothing, Accessories, Lingerie & Sleepwear at Sears! Use Code 10Off40 at checkout! Shop Your Way Members Get 10% BACK in Points at Sears! Shop Your Way Members Get 10% BACK in Points at Sears! Up to $20 BACK! Valid In Store & Online 6/4-6/10! HOT! 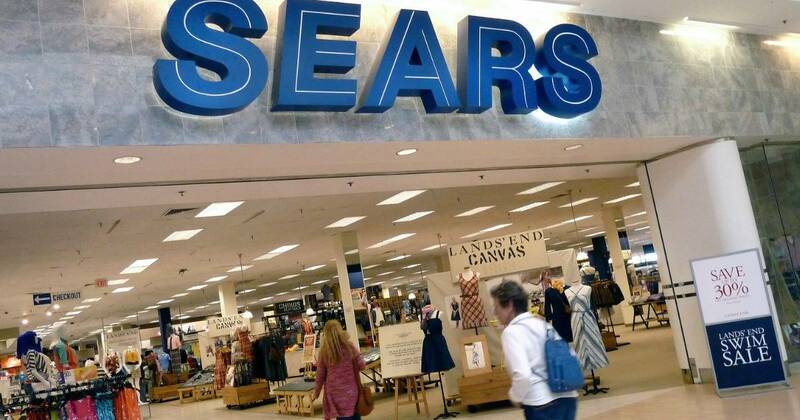 Get $10 CASHBACK on a $20 Sears Purchase! HOT! Get $10 CASHBACK on a $20 Sears Purchase through Retailmenot Cashback! Craftsman 220 pc. Mechanic’s Tool Set with Case ONLY $89.99! 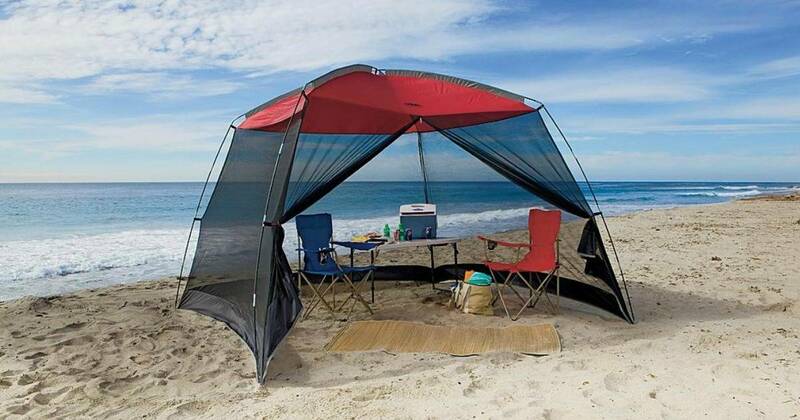 SAVE $60! Craftsman 220 pc. 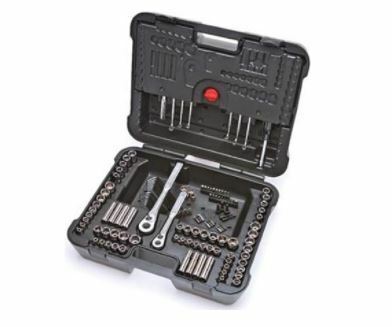 Mechanic’s Tool Set with Case ONLY $89.99 at Kmart!! 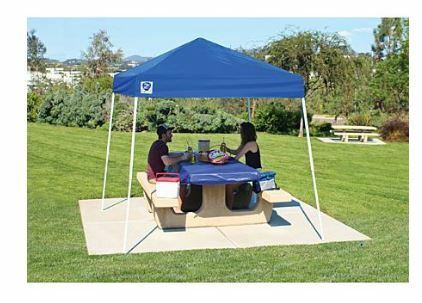 SAVE $60! GREAT GIFT! Craftsman 8-in. 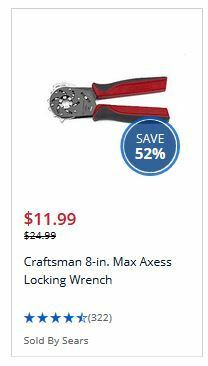 Max Axess Locking Wrench ONLY $11.99! 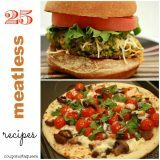 SAVE $13! THINK DAD! Craftsman 100 pc. Drill Bit Accessory Kit ONLY $14.99! SAVE 50%! WHAT A STEAL! 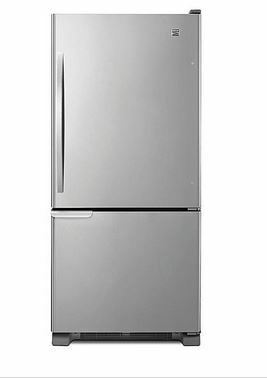 Kenmore Bottom-Freezer Refrigerator ONLY $583.49! FREE DELIVERY! 3 Colors! ADD this KENMORE 69313 19 cu. ft. Bottom-Freezer Refrigerator to your cart at Sears on sale for ONLY $699.99, normally $1299.99! Add a $50 Off $499 Appliance COUPON (YMMV) and it drops to $649.99! You will get Back $66.50 in Points making it ONLY $583.49 AFTER Points Back! Want to save even more? Get 8% Back when you shop through BEFRUGAL! Groupon is offering up to 33% off apparel, shoes, jewerly & more at Sears with Sears Credit starting at $19.99. Promotional value expires Jul 16, 2017. NOTE: The promotional value is not valid at Sears Outlet, Sears Appliance Store, Sears Optical, Sears Hometown Stores and Sears Auto centers. 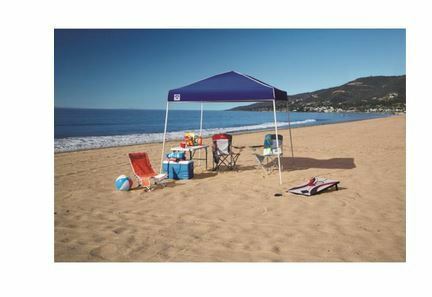 Excludes Clearance Items,Grocery, Pharmacy, Cleaning supplies, Home services, Gift cards and Calling cards, Protection agreements and Lands’ End products. FATHER’S DAY! 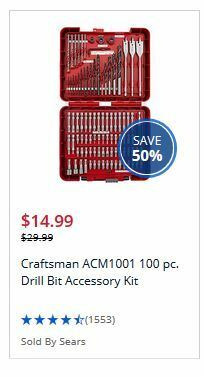 Craftsman 5 Drawer Homeowner Tool Center ONLY $89.99 PLUS Earn 50% BACK in Points! HOT! 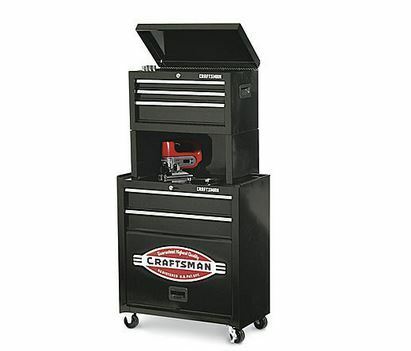 Craftsman 5 Drawer Homeowner Tool Center ONLY $89.99 PLUS Earn 50% BACK in Points!